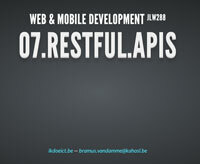 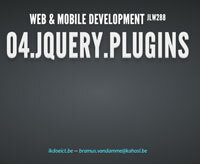 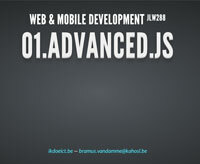 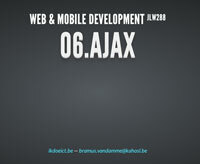 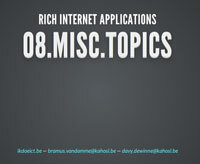 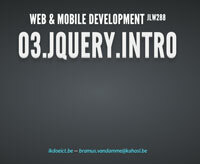 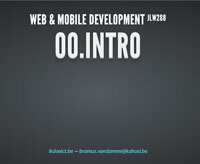 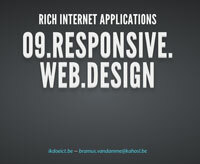 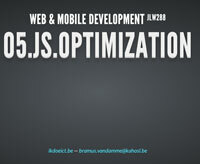 This collection of slides form the course materials for the Web & Mobile Development course (formerly Rich Internet Applications), part of the Professional Bachelor ICT study programme, taught at KaHo Sint-Lieven, Ghent, Belgium. 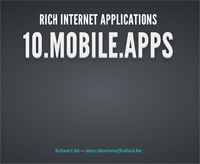 The materials may be used freely, as long as credit to the authors is present and the top right graphical link to ikdoeict.be remains in place. 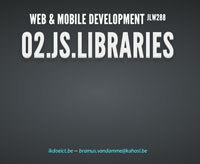 Suggestions and additions may be mailed to Bramus, or sent via a pull request on GitHub.